Limescale Remover is an acidic cleaner for the removal of limescale from kitchen equipment, utensils and dishwashing machines. 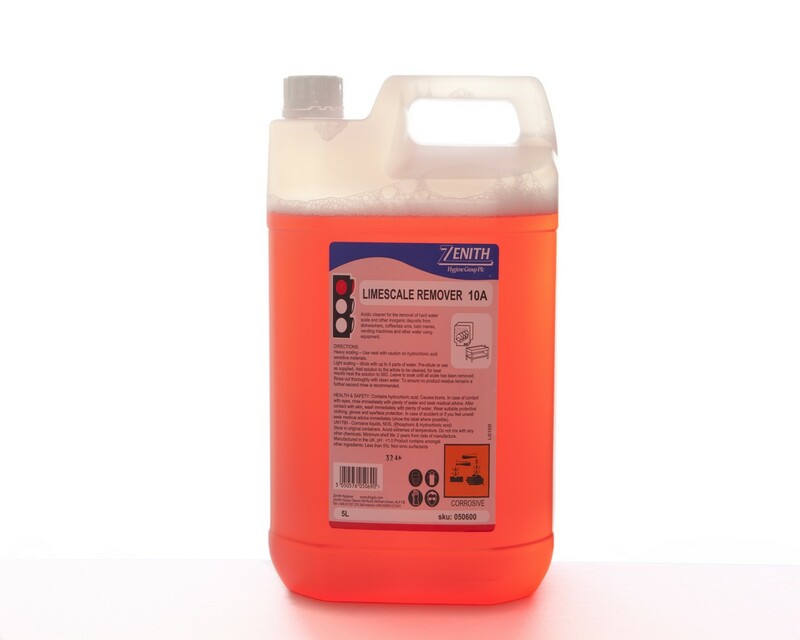 • Concentrated blend of inorganic acids and non ionic surfactants. • Suitable for removing hard water scales and other inorganic deposits from dishwashers, coffee/tea urns, bain maries, vending machines and other water using equipment.